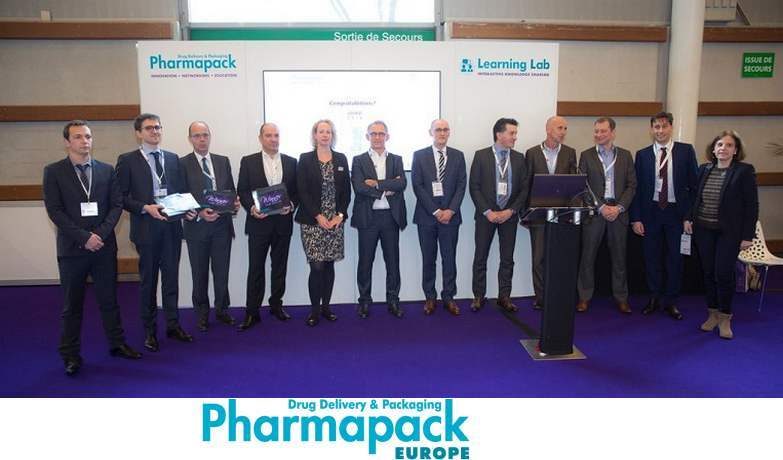 The Pharmapack Europe trade show gathers together actors from the pharmaceutical industry worldwide in the Parc des Expositions - Porte de Versailles, in Paris. Since they were created in 1997, the Pharmapack Awards reward exhibitor innovations in particular. In 2016, 380 companies took part in the trade show and 21 innovations were presented at the Innovation Gallery. The medical device Intuity® Lyo1 by EVEON received a 2016 Award in the category "Best exhibitor innovation", with a special distinction “Convenience and Easy of use” by a jury of professionals from the pharmaceutical industry*. Intuity® Lyo1 offers a unique and entirely automated alternative that simplifies the preparation of complex medication by reducing the number of ingredients and stages for the patient. Regardless of the type of user, the homogeneity of medication is guaranteed, making it totally safe, reliable and repeatable, with no manipulation or direct contact with the product. Intuity® Lyo1 is suited to a wide range of complex drugs, in particular biological drugs formulated in lyophilized or dry form, which are increasingly used to treat cancer, auto-immune diseases and many chronic illnesses. These molecules necessitate a great number of manipulations prior to being administered. EVEON facilitates the preparation and delivery of these molecules thanks to automatic and easy-to-use solutions. The jury was won over by EVEON's technology which helps to address major present-day issues within the healthcare system: allowing patients to stay at home, improving on their monitoring, as well as observance, safety, ease of use and precision. Located at the heart of the french Silicon Valley, the Medtech company is enjoying a strong growth. EVEON designs, develops and manufactures smart medical devices aimed at preparing and administering automatically and safely complex drugs. Thanks to Intuity®, a unique technological platform, EVEON offers solutions based on medical devices that can be used by patients and health professionals alike, at home or in a medical or hospital environment. Protected by 13 groups of patents, EVEON's medical devices are tailor-made for its customers. "EVEON develops smart medical devices to supply intuitive solutions that provide real benefits for medical staff and patients alike. This reward confirms that pharmaceutical laboratories are highly interested in the solutions we are developing and honours the efforts and work carried out by all EVEON teams since the beginning of the Intuity® Lyo1 project. The fact that our expertise has been acknowledged by a jury of professionals is an additional source of motivation towards swiftly moving on to new stages, to ensure that our solutions are rapidly put at the disposal of patients and health professionals", stated Vincent TEMPELAERE, CEO of EVEON. He warmly thanked all jury members for this award. 1 The medical device Intuity® Lyo developed by EVEON is the first of several devices designed for the Intuity® Mix platform.